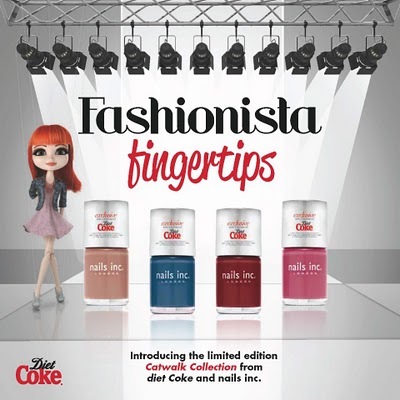 This offer is excusive to selective Boots stores from 12th Jan 2011, when you buy two 500ml bottles of Diet Coke you get a free polish of your choice from the collection! Normally these polishes are priced at £10.50 so this really is a bargain! I love the look of my eye on Heavenly Heather & Cool Caramel. Will you be snapping up this offer? Which shade is your favourite? ooo I managed to nab one the last time! will deffo be keeping an eye out for these too! I'm definitely going to try and get all the colours, however, last time they had this deal, they only had one colour left. I will probably try to snap all! But the blue seems the pretiest! I am off to Boots tomorrow..
Can you buy enough diet cokes to get all 4 shades in 1 go?